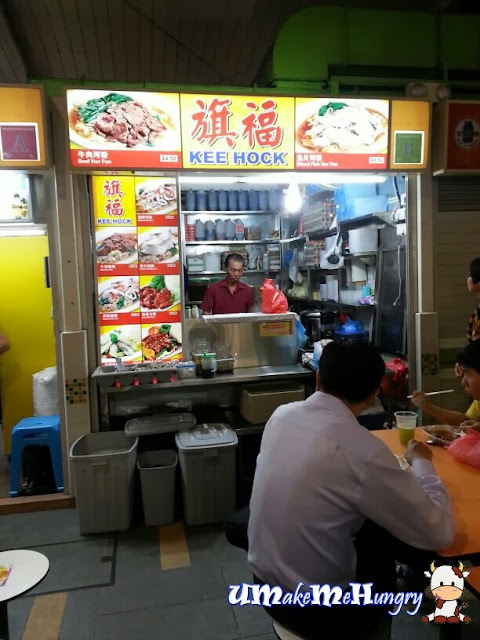 Kee Hock is highly recommended by my colleague who is a fan of its tasty plate of Beef Hor Fun. 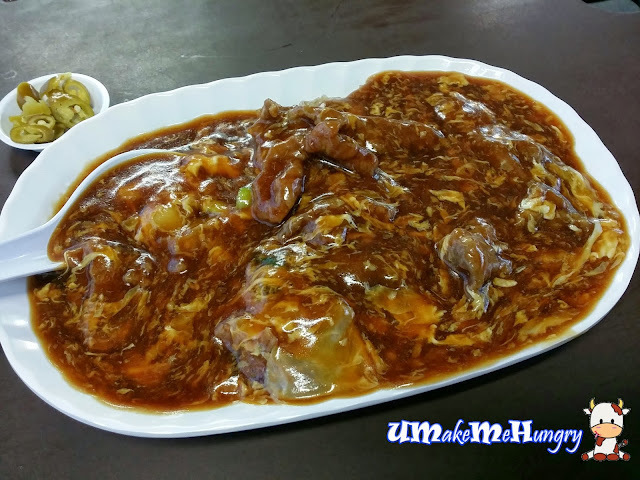 I'm not very keen on such a dish especially when it was make up of big size kway Teow with starchy gravy, the thought of having Hor Fun as my meal would not even have come into my mind. Afterall Kee Hock did not disappoint.The gravy was dark brown in color with visible amount of egg added and every spoonful of gravy was filled with egg without fail. When it comes to Hor Fun, I'm rather particular if they do have Wok Hei taste - if not it would be rather "bored" i the dish. And yes, they do! Every piece of Kway Teow was smeared with luscious gravy together with the "charred" taste. 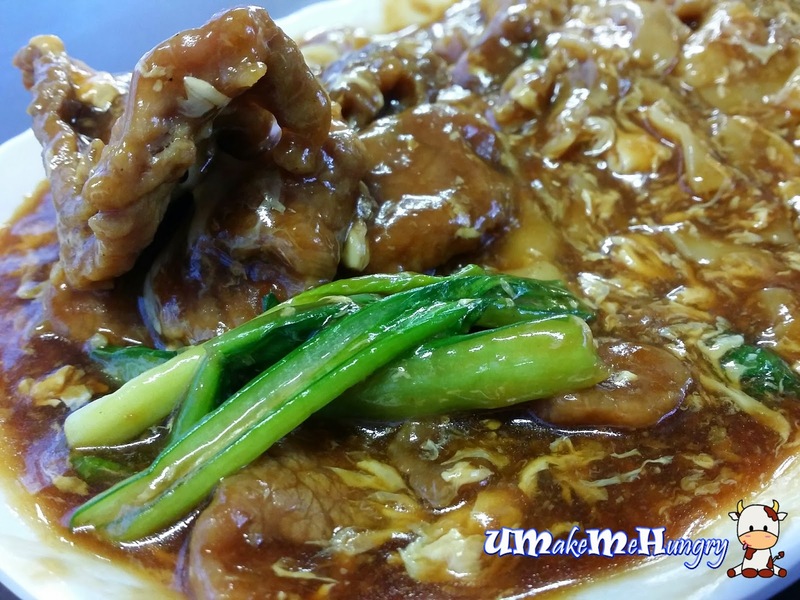 Ingredients like beef slices was thick and generous accompanied by a few stalks of vegetables. Overall, I find that the food is quite good but not to die for. In regards to its pricing, it hard to find such portion loaded with slices of beef at such a reasonable cost.